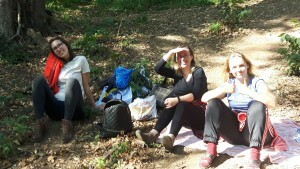 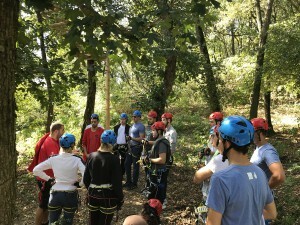 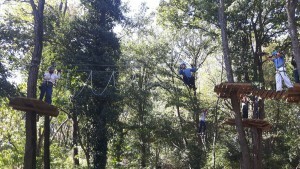 Beautiful autumn weather gave us a perfect setting to organize a team building in nature. 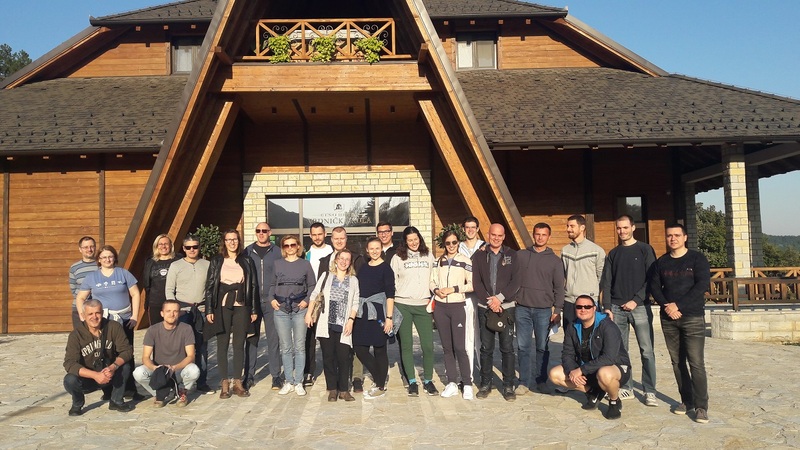 At the beginning of October, a two-day activity event was organized for TIAC employees at Ethno Village Vrdnicka kula. 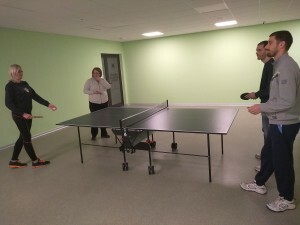 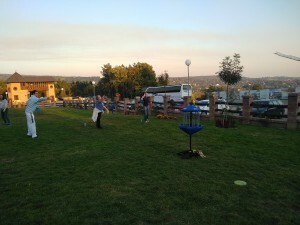 After the check-in, we went for a stroll to visit the national cultural monument of Vrdnicka kula, and continued with some free activities afterwards depending on each person’s preference: table tennis, table football, disc golf, or spa). 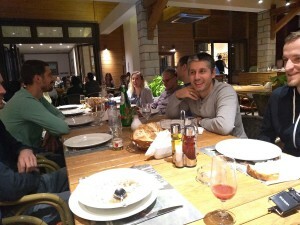 In the evening, we went together to a dinner where we had a good time listening to live music and enjoying a great meal. 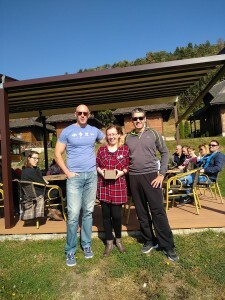 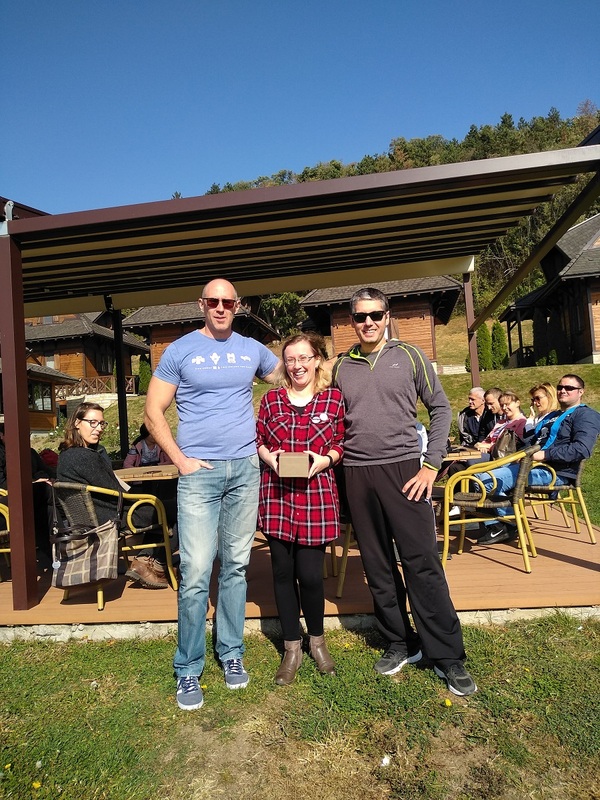 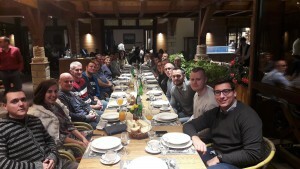 On the following day, right after breakfast, there was a group meeting where we used this opportunity to share some interesting stories from company history with the newer team members and to give thanks to our colleague Svetlana for her 10 years anniversary working at TIAC. 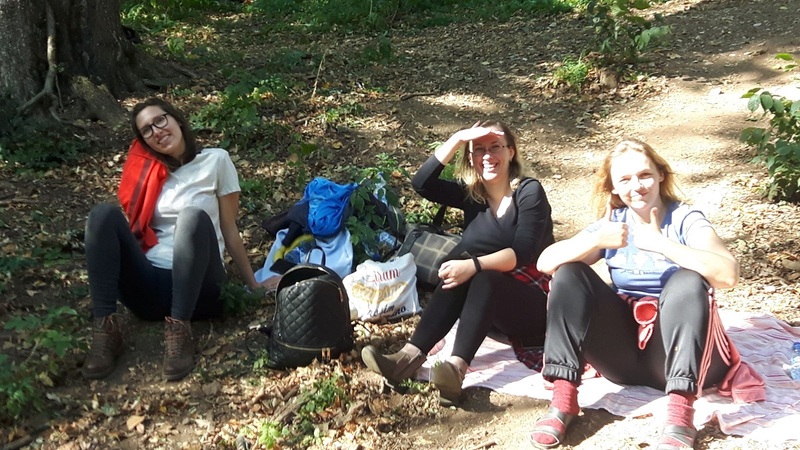 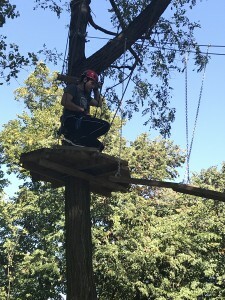 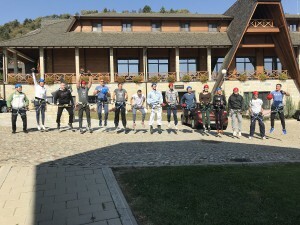 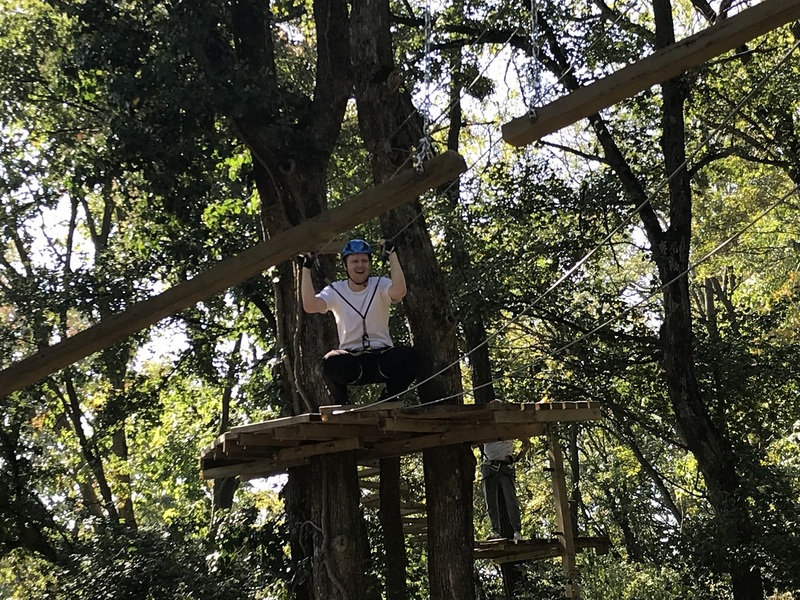 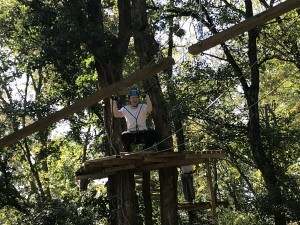 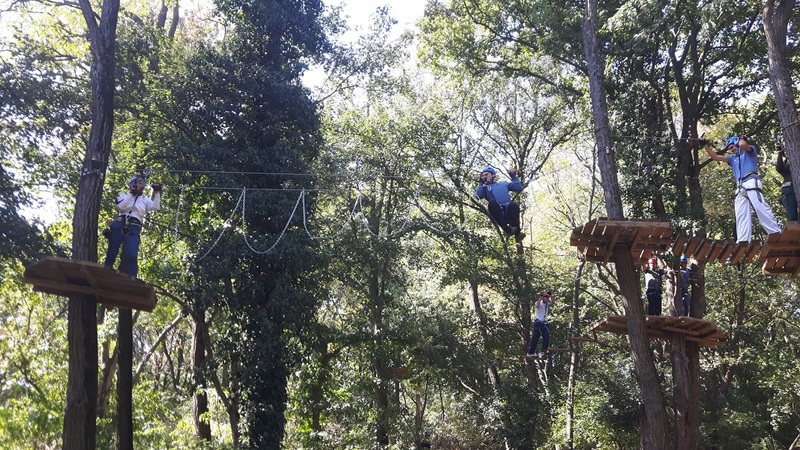 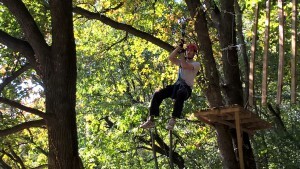 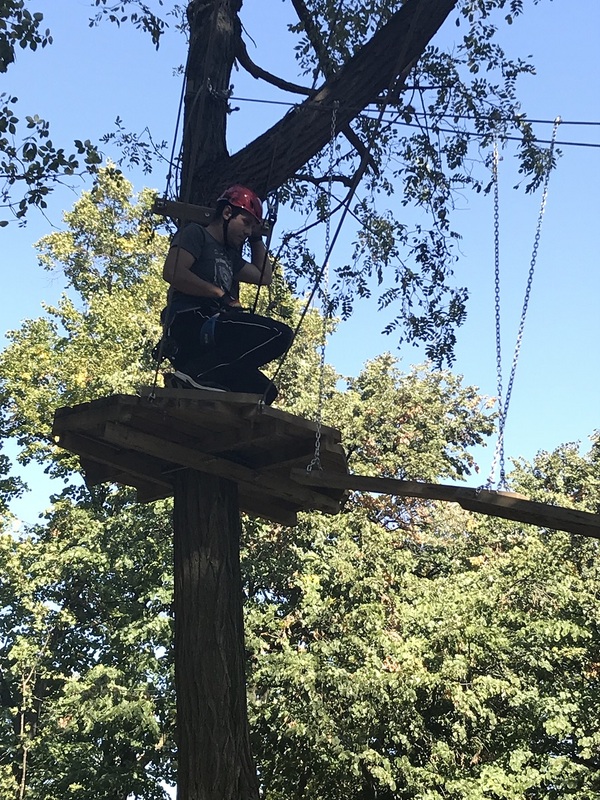 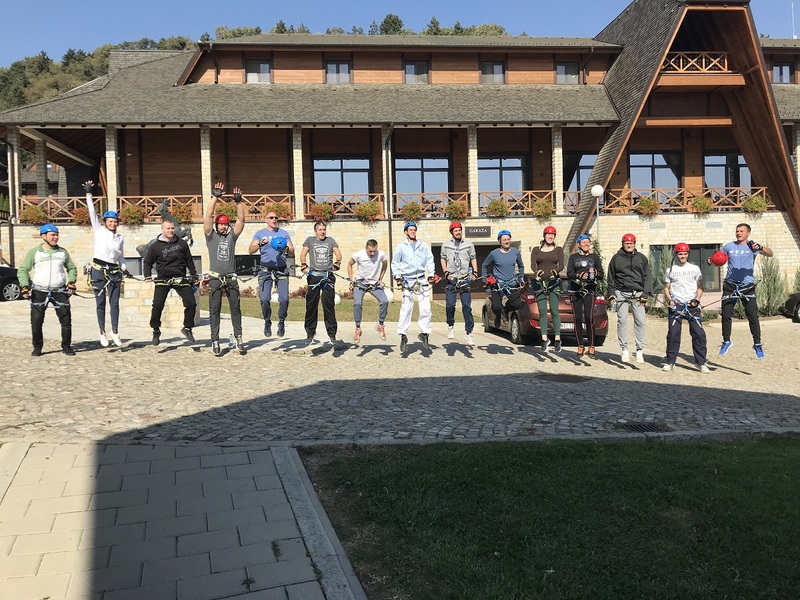 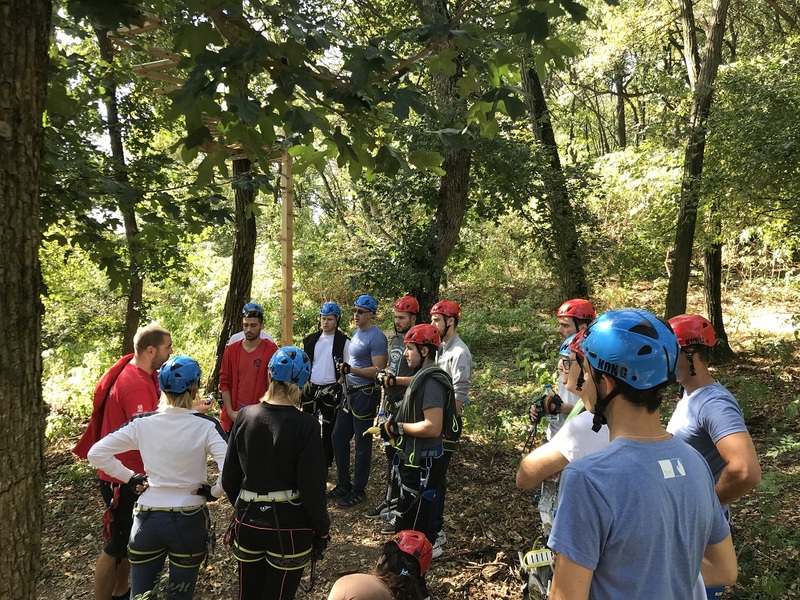 This was followed by an exciting visit to the Adrenalin Park where some of us challenged themselves overcoming more than 30 platforms set up among the trees on the hillside, while the rest of the colleagues cheered them on.